Isn't St. Patrick's Day such a fun holiday tucked in at the end of winter? There's no pressure, no finding the perfect gift, no re-evaluating your love life, just green food and good luck. 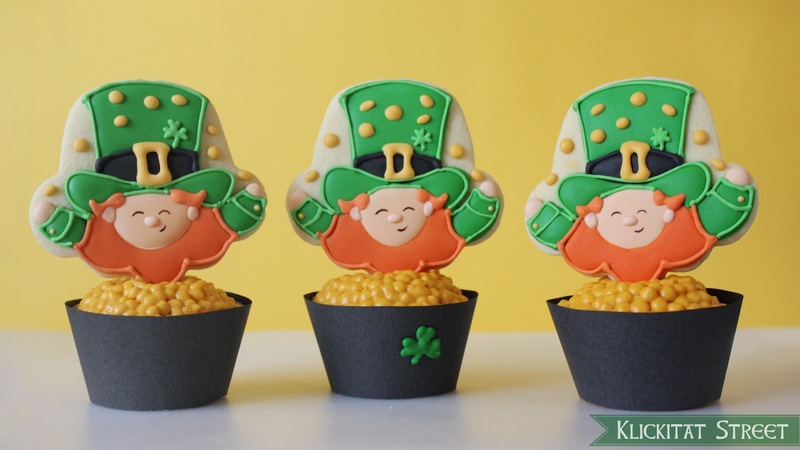 After making these cookies of leprechauns tossing their gold coins I thought it would be cute to make them into pot-of-gold cupcake toppers. 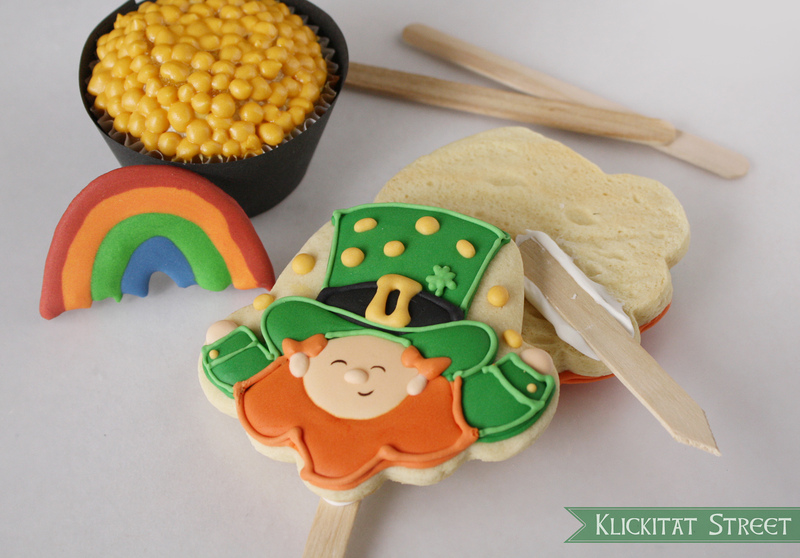 To make cookies into cupcake toppers start by "gluing" a stick to the back of each decorated cookie with super thick royal icing and let it dry. I used craft/popsicle sticks but you could use lollipop sticks or something similar. Cover the cupcakes with dots of yellow frosting. Oddly, my local craft stores don't sell black cupcake wrappers year round so I cut simple cupcake wrappers out of black paper and wrapped the decorated cupcakes to make them look like little pots. I also made a few rainbow royal icing transfers to put on a couple cupcakes too. Once the icing "glue" has dried gently push the cookies into the cupcakes and you're done! If you don't happen to have time to make cookies (gasp) I made a printable cupcake topper for you! Save the full size image and print it out on white card stock. Be sure to print them in landscape orientation so they'll fit on a page. Cut out the shapes and tape a sandwich pick or small lollipop stick to the back of each to turn them into a cupcake topper! 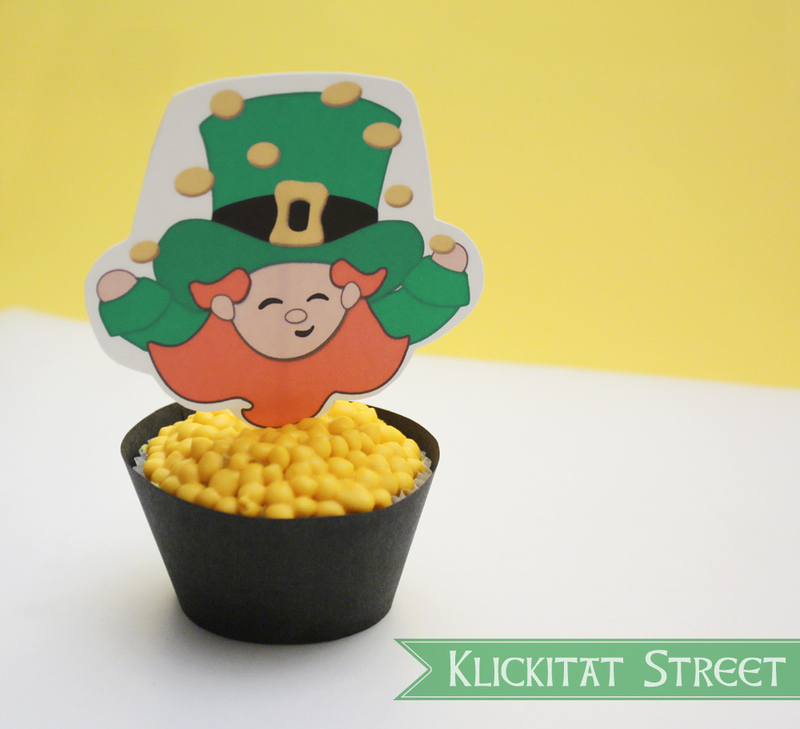 Stick them in your cupcakes and have a Happy St. Patrick's Day! 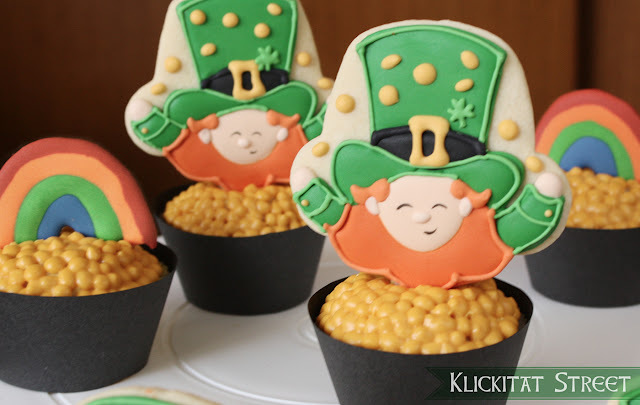 The way you use cokie cutters is really amazing.. it seems to be soooooo easy. You are really a creative girl! Adorable! 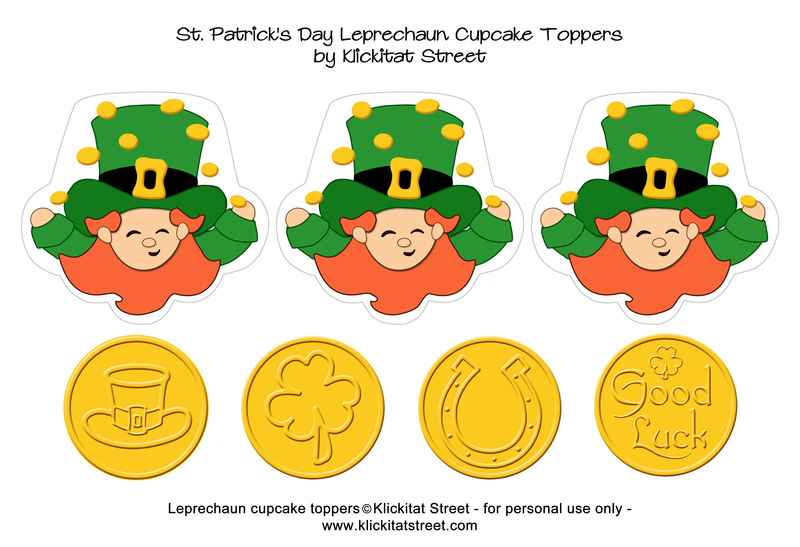 What did you use for the top of the cupcake's gold coins? You're really talented, I love looking at your creative work! Thank you for sharing your idea :) I had fun trying to recreate them for a work luncheon. Everyone loved them.